Back when I was a kid I started collecting images I wanted to draw. I remember my grandmother had stacks of scrapbooks stuffed full of photos, postcards and illustrations she loved. I still have some of her handmade picture books. In college my professors required that we organize and keep photos as resources for a variety of different subjects. I had enormous calligraphy, window display and style files. I made files of magazine photos of different animals, birds and kinds of trees. I spent hours looking for different kind of insect and fairy wings and had huge files of all sorts of flowers. All of these images have been valuable to developing artwork. Even with the need to create original artwork, it's necessary to study all sorts of images before hand. 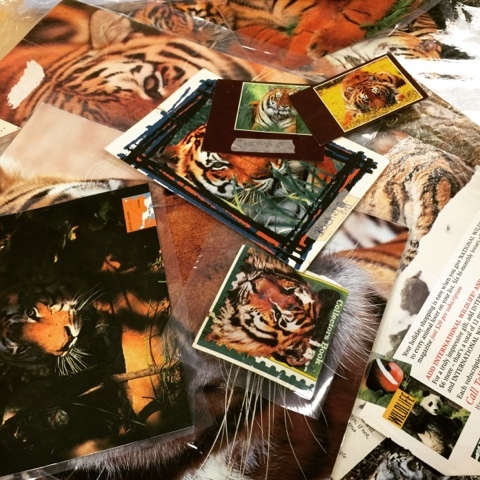 When I started teaching 16 years ago, I dragged my boxes of swipe files to my classroom and have used them when my students needed a photo resource. These files have helped me and others through the years until we arrived in the digital, Google Image Search age. 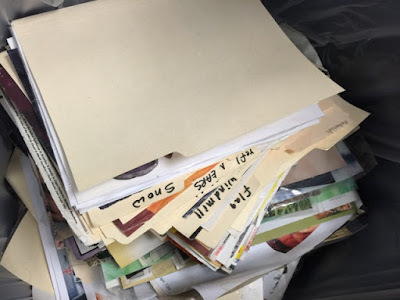 Like most artists and art teachers, I occasionally have to clean out my studio/classroom - I could easily be overwhelmed with keepsakes like a true hoarder. I've known it was time to part with my swipe files for a few years. Anytime I or my students need a photo resource these days, we go to the Internet and my swipe files have been collecting dust and taking up valuable space. So I took a deep breath and dumped all but a few of my picture files. I have to admit, it was hard to do. I also have to admit that I didn't just purge the boxes but I opened each file and revisited some of the images I had harvested for nearly 50 years. It felt like tossing out part of my family but with time, I think I will enjoy having a substantial amount of storage space available. So now I am embracing the digital age. Let's hope the powers that be keep us wired in and hooked up. I can imagine that was hard to do. I too have files of photos, not as many as you did but I believe I shall hang on to mine for awhile yet.